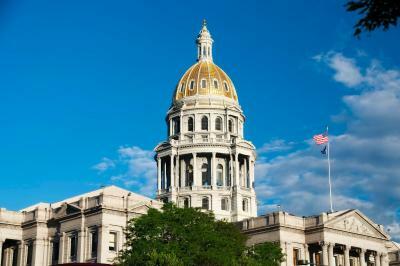 Lock in a great price for Residence Inn Denver South/Park Meadows Mall – rated 9 by recent guests! Clean and comfortable rooms. Pool temperature was great. Nice variety for breakfast. Will stay again! The staff was nice and friendly and the room was clean. Everything was fine except for breakfast was 30 min late. hospitality was amazing and everyone was super nice. The staff was nice, room was clean and comfy and breakfast was great! It was very comfortable. It was very clean. Everyone was really nice. The breakfast was very good. We really enjoyed it there. My son didn't want to leave & to be honest I didn't want to leave either. The room was very nice where we could close off the bedroom and have a separate living room area. Nice to have a kitchenette. We were able to grab some breakfast early in order to get to an early flight. Room facilities excellent. Staff were very helpful. Residence Inn Denver South/Park Meadows Mall This rating is a reflection of how the property compares to the industry standard when it comes to price, facilities and services available. It's based on a self-evaluation by the property. Use this rating to help choose your stay! 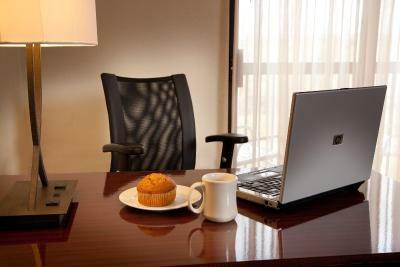 Less than a 10-minute drive from the Centennial Airport, Residence Inn Denver South offers self-catering suites with free internet access and cable TV. Facilities include an indoor pool and whirlpool. The air-conditioned suites of Residence Inn Denver South/Park Meadows Mall are equipped with a living area, a spacious work desk, and a kitchen with a stovetop and dishwasher. Room service is available. 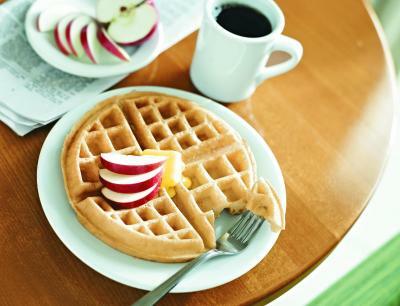 Residence Inn serves a hot breakfast every morning. Guests can also visit the American grill restaurant next door at the Courtyard by Marriott, Charley’s Restaurant. Residence Inn Denver South/Park Meadows Mall also offers a Sport Court, a gym, laundry and dry cleaning facilities, and a gift shop. 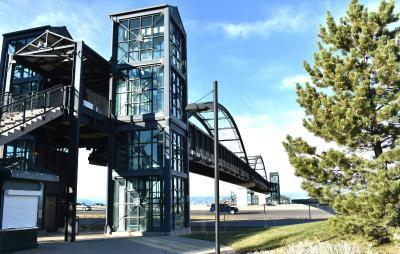 The hotel is less than a 5-minute walk from the Centennial Promenade and the Park Meadows Mall. 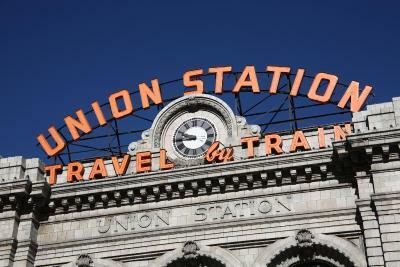 Downtown Denver is just a 30-minute drive away. 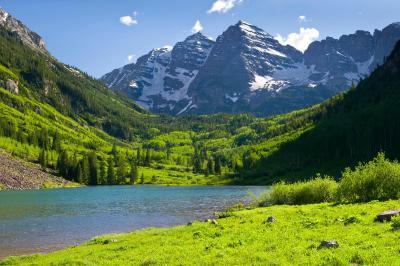 This property also has one of the top-rated locations in Centennial! Guests are happier about it compared to other properties in the area. This property is also rated for the best value in Centennial! Guests are getting more for their money when compared to other properties in this city. 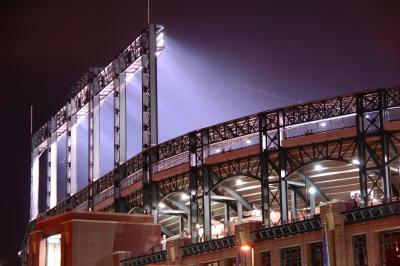 When would you like to stay at Residence Inn Denver South/Park Meadows Mall? A full kitchen with a dishwasher is included in this studio. A sitting area with a sofa bed and satellite TV are also available. This spacious suite has 2 bedrooms and a living room with a sofa and cable TV. This spacious suite includes a queen bed and a separate living area with a sofa bed. The Residence Inn Denver South/Park Meadows is an extended stay, all-suite hotel located south of the Denver Tech Center in the Meridian & Inverness Business Parks. Conveniently located at the new County Line Light Rail stop. House Rules Residence Inn Denver South/Park Meadows Mall takes special requests – add in the next step! Residence Inn Denver South&#47;Park Meadows Mall accepts these cards and reserves the right to temporarily hold an amount prior to arrival. Residence Inn Denver South/Park Meadows Mall accepts these cards and reserves the right to temporarily hold an amount prior to arrival. Breakfast area was small and not a lot of choices compared to others but not a huge deal. I can't say that I did not like anything. We found dirty socks and boxers in the closet - yuck! The room was very noisy - highway noise and air conditioner kept us up all night. Sleeper sofa very uncomfortable. Stairs were on opposite corners of the large hotel with one elevator. The lady taking care of the breakfast area was extra loud in talking to her friends. It was hard to enjoy breakfast with this continued loudness. The breakfast was limited and served with all disposable plates and cutlery. The sofa bed mattress was poor and did not have enough linen. We only had 2 towels for a 4 person booking. The pool was cold. Location was very isolated so you had to drive everywhere. The room was nice and clean, with a comfortable main bed. The staff were friendly. Lack of channels, internet was a bit inconsistent, and the room had a funny smell. On arrival we were told our suite was not available because the current customer extended his stay and they had no more suites available. We were sent next door to the Courtyard Inn who also had no 2 bedroomed suites. We were given a one bedroom with two beds and a sitting area with sofa bed. Not what I booked. My elderly mother was not comfortable on the sofa so had to share our room which was not appropriate. On checking my bank statement, Courtyard had charged me twice. Although they at first denied it, they have since agreed but I am still waiting for my refund. Residence Inn did have a suite available for our second nights stay but we were not compensated in any way for the inconvenience.